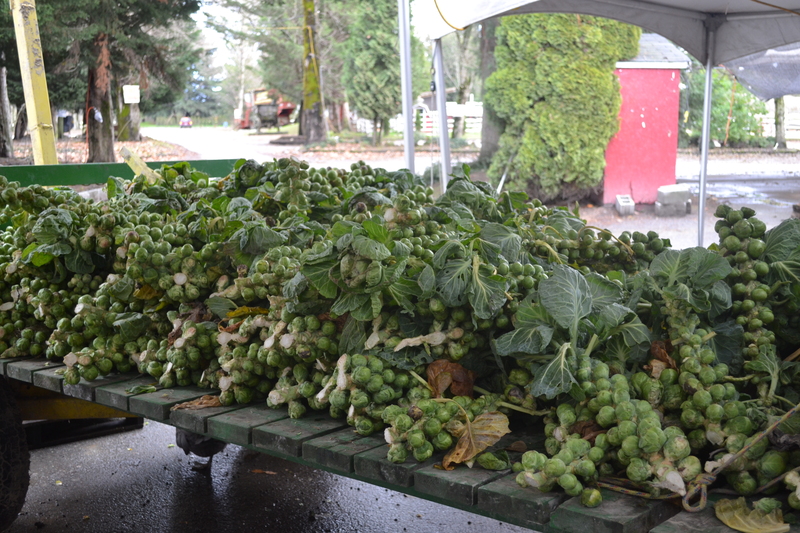 Some farmers in the South Slough area are slowing down at this time year. 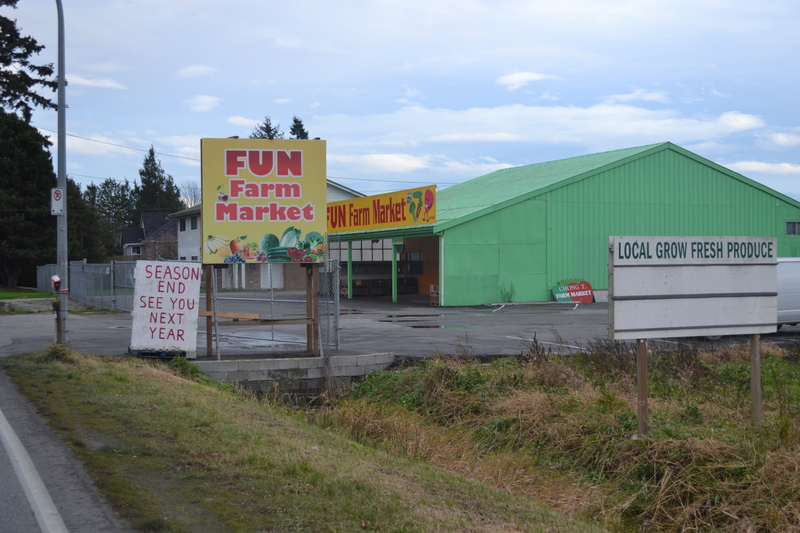 The Chong’s closed their farm stand on Steveston Highway last weekend. 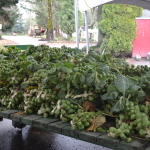 Hoegler’s Richmond Country Farms is open selling limited produce local produce including local Brussels’ sprouts, apples, carrots and potatoes. They’ll close December 23. H & M Farms at the corner of Steveston Highway and Gilbert Road opened their Christmas tree stand, celebrating 40 years of growing and selling Christmas trees. 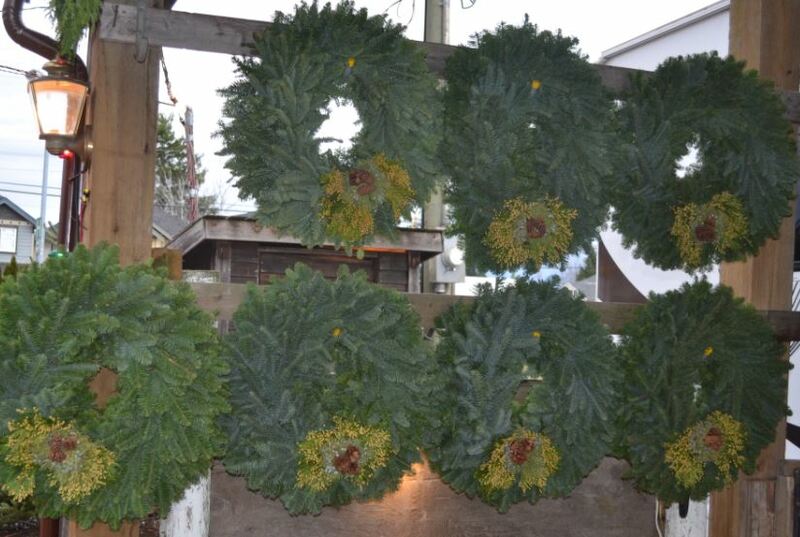 They also have ready-made wreaths from cedar boughs. This afternoon it was quiet at their stand, with just two customers. Art Knapp’s stand of Christmas tree sales was also quiet. 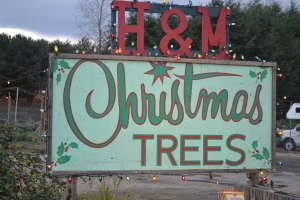 To attract customers away from the convenience of supermarket Christmas tree sales, the farmers go all out to make tree sales a holiday memory for families. Some tree stands on farms have beautiful heritage lights, statues of father Christmas, cocoa and soft carols playing. 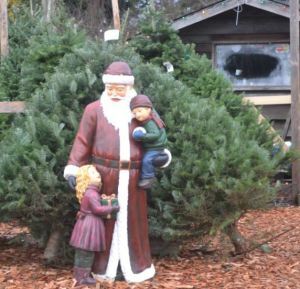 During the next three weeks I hope Vancouver residents heading to Steveston for a riverside lunch or commuters heading home to nearby subdivisions stop and buy farm trees. 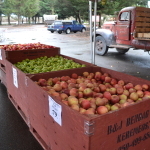 Farming is such for a weekend hard work and farmers depend on local.